Show your Irish pride with these magical four leaf clover value tattoos! 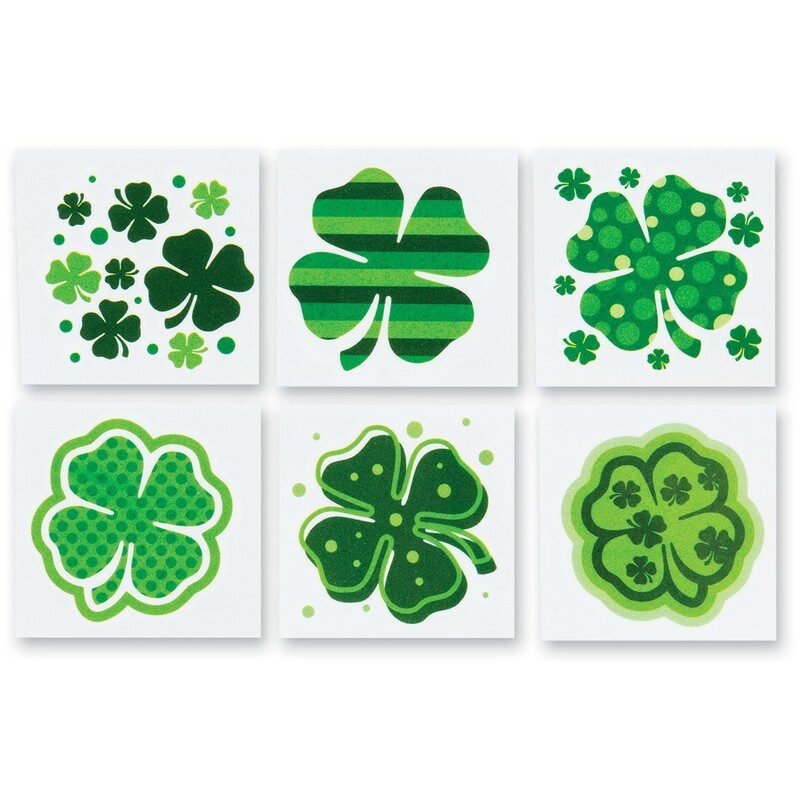 Six different green shamrock designs to make sure you don't get pinched! Great for St. Patrick's Day! Easy to apply and remove. Safe and non-toxic.